I like this ad. It’s funny and filled with little moments that are also highly relatable. Everyone needs a little privacy at some point, right? 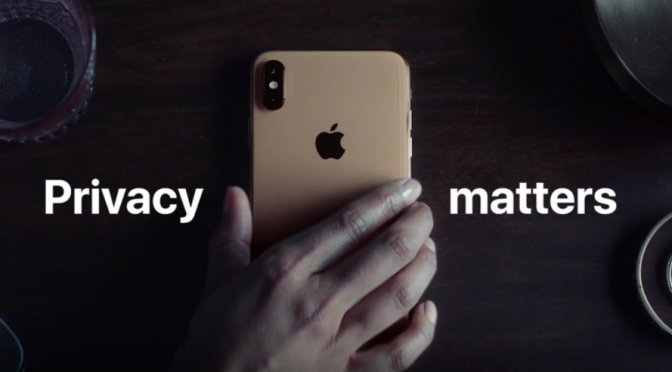 Apple follows the parade of clips up with a smart tag line: “If privacy matters in your life, it should matter to the phone your life is on.” It gets the message across, and for those outside the tech community who may not know all of the intricate details of how Apple and other companies actually handle user data privacy, it will likely be received well. 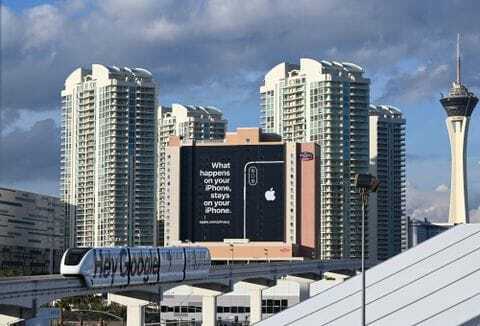 I think this new ad is more effective at getting the point across in a way that sticks than Apple’s trolling privacy banner that they hung on the side a building during this year’s CES. That dig was meant for the tech press and fans, but I’m not sure how well it resonated with anyone but the Apple faithful. Unfortunately for Apple, not long after that they ended up with a privacy mess of their own after a bug in FaceTime became public knowledge. It allowed users to listen into the actions of others when a multi-person call was initiated, which is about as privacy-invasive as you can get. Apple has since patched the issue, but it was an untimely black eye for them. An unintentional mistake is not the same as a business model that is focused on acquiring and using customer data, but if you hang up a massive banner trolling your competition, you can’t slip up like that without being called out. The criticism they got was well-deserved. This new ad is a smarter play in that it touts the fact that Apple cares about privacy, rather than focusing on what others are or aren’t doing about it. People who pay attention to the news know about the criticism being aimed at Facebook, Google and Amazon over how they handle customer data right now. It’s even part of the early 2020 Presidential Race discussion. This is especially true for Facebook, which finds itself in scandal after scandal over what they have done and allowed others to do with their users’ data. This isn’t just tech news now. The importance of data privacy has gone mainstream. Leveraging that with humor in a way that isn’t petty is a better way for Apple to tout their focus on user data privacy.